The issue whether science can be correctly submitted to ethical judgment has been widely debated especially in the 1960s. Those who denied the legitimacy of such a judgment stressed that this would entail an undue limitation of the freedom of science; those who defended such a limitation laid stress on the great dangers that an uncontrolled growth of scientific knowledge has already produced and would continue to produce against humankind. This sterile debate can be settled by recognizing that scientific knowledge can and must be evaluated, as far as its validity is concerned, exclusively through the methodological criteria admitted by the professionals of the single scientific disciplines concerned, and no ethical judgment is pertinent from this point of view. Nevertheless, if we consider science as a particular system of social activities, entailing concrete procedures, conditions and applications, the ethical evaluation of these actions is pertinent and correct. A second question is whether or not the inclusion of these ethical investigations in the specific domain of philosophy of science is correct. If one conceives philosophy of science simply as an epistemology of science consisting in a logical-methodological investigation about the language of scientific theories, this broadening would appear spurious. 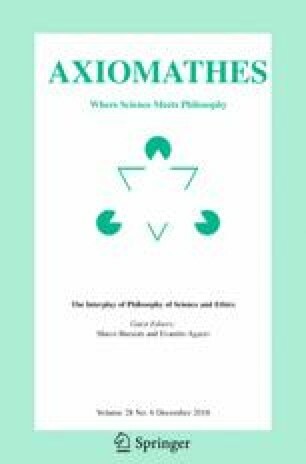 This view, however, is too narrow and dated: a fully fledged philosophical investigation on the complex phenomenon of science cannot prevent important outlooks and instruments of the philosophical inqujiry (in particular ethics) from legitimately pertaining to the philosophy of science.